Plano Pier And Beam Foundation Issues May Require Repair. Have pier and beam foundation repair issues in Plano, TX? In the event you’re having trouble, contact HD Foundations. The professionals at HD have vast experience with all kinds of problems. 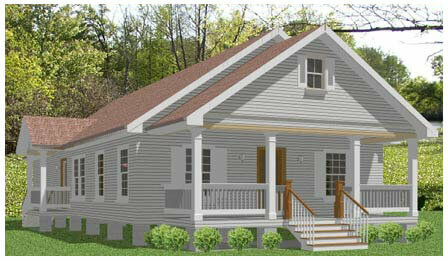 We’re recognized for our ability to property repair pier and beam houses as well as other structures. It’s important to learn signs of foundation issues. If you have any, call HD right away. We can be of service. 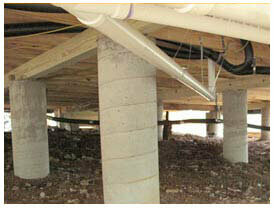 Foundation Issues Need Pier And Beam Foundation Repair In Plano. The many common indications of foundation trouble include these four things: (1) sagging floors (2) walls that are splitting (3) cracks in floors and ceilings and (4) floors that aren’t level. 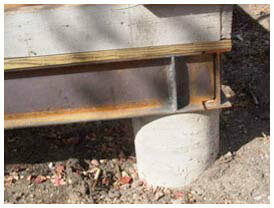 To find out more, read this information about signs of problems with pier and beam foundations. 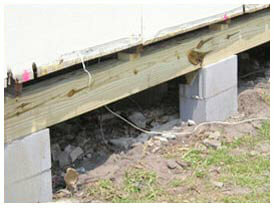 Chances are that if you see any indications of issues with your foundation, your house may need service. 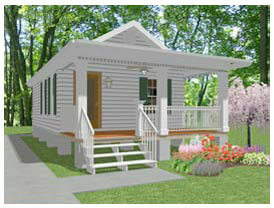 At HD Foundations, we warranty or repairs so you won’t have any concerns in the future. Repair Cracks As Part Of Pier And Beam Foundation Repair. To preserve your foundation, ask HD Foundations to fix your structural problems and cracks. As Plano contractors with years of experience repairing the cracked foundations on pier and beam houses, apartments and commercial properties, we know how to deal with issues. Fact is, we’re qualified to fix your foundation. The pros at HD Foundations have the knowledge required to mend fractures correctly, lift sagging floors, stabilize beams and more. Learn all about cracked foundation repair. It’s important to fix any fissures that you may see in your Plano property before they get wider and worse. If you require foundation piers, we can install concrete or steel pilings and make your structure level. There are many benefits to having these foundations. The advantages of pier and beam foundation include the following three things: (1) they provide for quick access to utilities because of their crawl spaces (2) their floors are are somewhat flexible, making them easy to walk on and (3) they can be less expensive to repair than other foundations. Of course, pier and beam foundations have some disadvantages, too. These issues include: (1) their crawl spaces are prone to getting damp (2) rodents and inspects often nest below them and (3) termite infestations can occur. Of course, problems are common in all types of foundations. If your Plano house has cracks or other issues, get free pier and beam foundation repair estimates by scheduling them online today. And ask about the lifetime warranty we offer on our repairs. And remember: HD Foundation has a great rating with the Better Business Bureau. So why wait? Call us today.